Here’s a pleasant way to spend a lazy weekend afternoon. 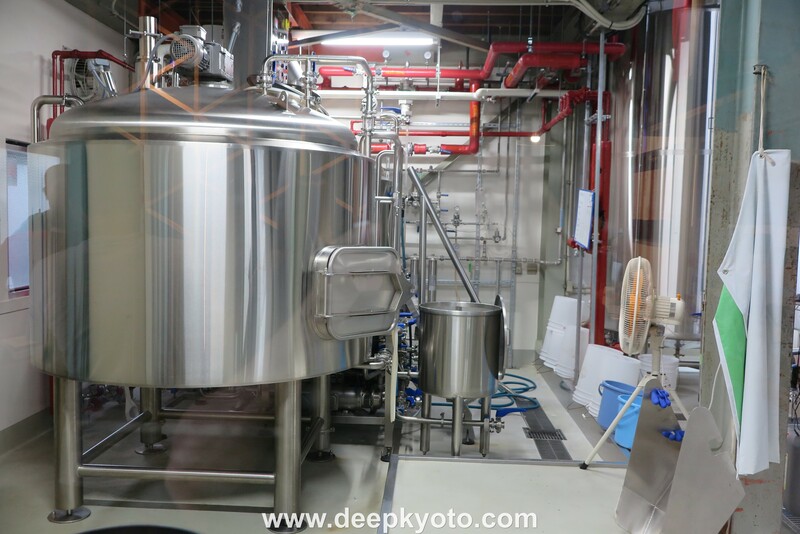 Head down to Kyoto Brewing Company’s Taproom and enjoy the very freshest craft beers in a super relaxed and casual space. If the weather is good you can sit outside, and if not, you can chat to the friendly brewery staff indoors as they pull your pints. In the colder months they will also set up a tent outside with heating. Mewby enjoying the cool and crafty weekend beverage vibes. The taproom has six taps with a mix of regular beers and seasonal specials. The beers themselves are a fusion of American and Belgian styles priced at 600 yen for each 400ml glass. I enjoyed a glass of Ichigo Ichie (a fruity/spicy Saison style beer), which I followed up with a very satisfactory seasonal IPA. These are great artisanal beers, well priced, and served in a very special location. Deep down inside all beer crates secretly want to be chairs or tables. 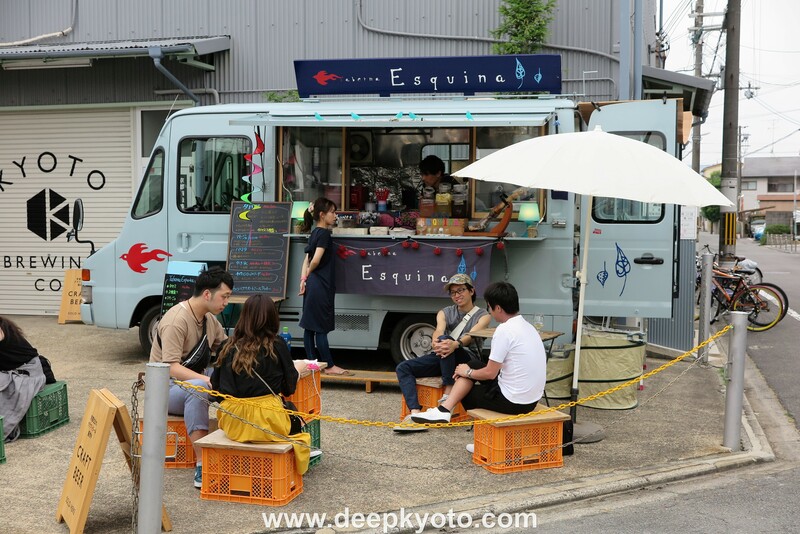 The brewery doesn’t serve food itself, but there is often a food truck on site for the taproom’s opening hours, and if not, you can bring your own snacks. Perfectly poured by people who care from perfectly maintained taps. Souvenir glasses and t-shirts are also on sale inside. 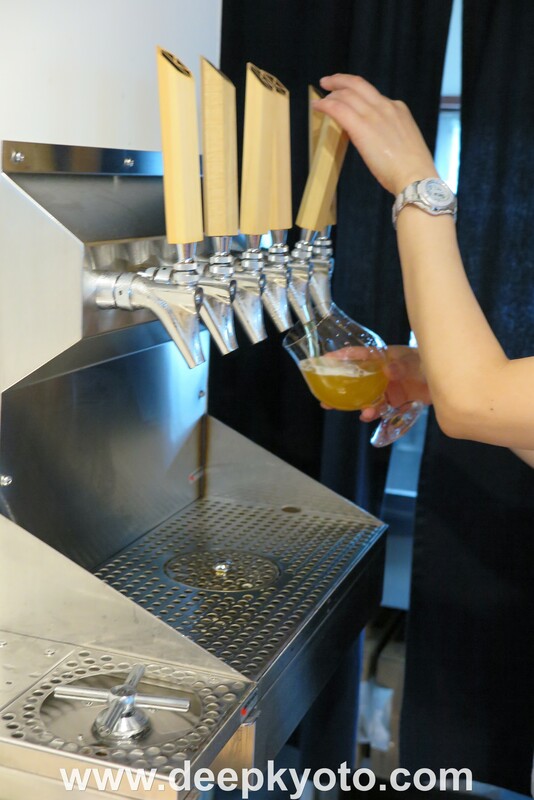 Opening hours: Kyoto Brewing Company Taproom is only open on weekends from 12.00-18.00 (Last orders are at 17.30). As the taproom closes on occasion, when the brewery staff are taking part in special events, you should check the scheduled openings either on the official Kyoto Brewing website, or on their Facebook page. Please note also that the taproom is not open on public holidays. A window onto wonders. This is where the magic happens. 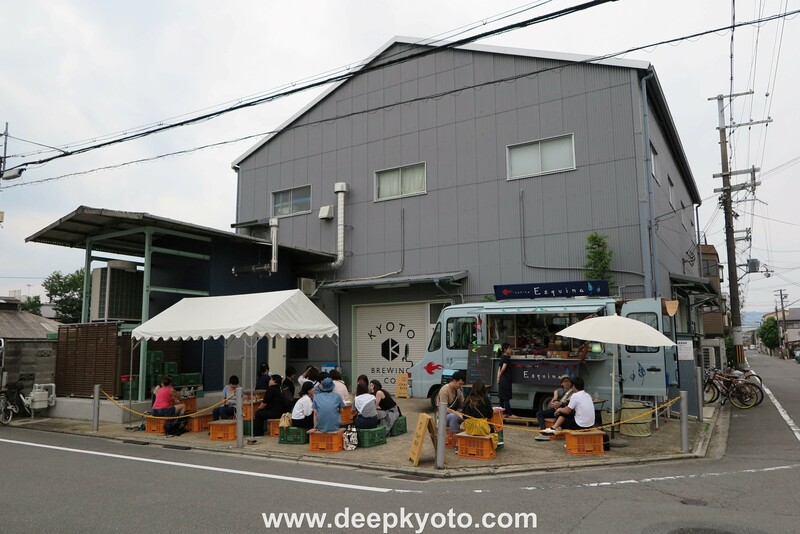 Location: Kyoto Brewing Co. is located in a former lumber yard about 10 minutes’ walk south of Toji Temple, about 15 minutes south west of Toji Station, and 12 minutes west of Jujo Station. Here is a MAP of the location. Once a lumber yard, now a hub of local beer appreciation. Kyoto Brewing Company’s craft beers can also be enjoyed at a range of venues around town including (but not limited to) Tadg’s Gastro Pub, Bungalow, 100K, Bozu Bar, Beer Komachi, Len, and Beer Pub Takumiya.